I was invited to introduce the film Thank You For Playing, a documentary about the game That Dragon, Cancer. A video of my remarks is available here. Video games have turned a corner. As with everything in the game world, it happened fast, faster than I expected. Every year I ask my class, Why don’t games make us cry? Films, plays, books, songs, and speeches make us cry. Why not games? Then I challenge students to come up with examples of emotionally powerful games, and they come up with a few weak examples (“I got so mad at the final boss in X, I wanted to cry”). This was how the class went…until this year. This year, just a week ago, I did this exercise with my students and they gave many solid examples of emotionally strong moments in games. Something has changed. Game making is growing up. “Growing up” – what does that mean? Sounds almost offensive. To suggest that people who are 50 are in some way wiser than those who are 25…how offensive! In 1968 it was said, don’t trust anyone over the age of 30. Over the years that changed into a culture where youth is deeply respected for being where it is, master of its own fate and future. Some of these masters chose to make games, and they made games relevant to their own lives and desires. But then time passed, and things happened. The average age of a video gamer has risen steadily over the years and is now in the mid- to high 30s. It is a fact of human life that as time goes by, a new element comes ever more strongly into life: Suffering. It is true that many people suffer from their day of their birth. It is true that many young people live every day with soul-crushing sorrow. But those facts do not contradict the general truth that the amount of suffering in a group goes up as time goes by. More stuff happens, and the older you are, the ratio of bad to good rises. You get dumped…once, twice, three times. You have to distance yourself from someone who is really sweet, nice, and devoted, but just not right, once, twice, three times. You’re forced to move, and move, and move again, finding yourself alone in vast cities with nothing to do and no one to talk to. You lose your job, once, twice, three times. Your colleague slips on a ski slope and smashes his head against a tree. Your grandmother loses her mind to dementia. Your student loses control of a car and slides into a head-on collision, killing himself and his wife – also your student. Your try to bring children into the world, only to have to say goodbye to them once, twice, three times, four times. Your body bloats, it begins to ache, things break down, you have not reached your dreams, and the clock mercilessly ticks and ticks and ticks. These things are the difference between the old and the young. They are the building blocks of growing up. They happen to people who play and who make video games, and their artifacts have begun to reflect it. 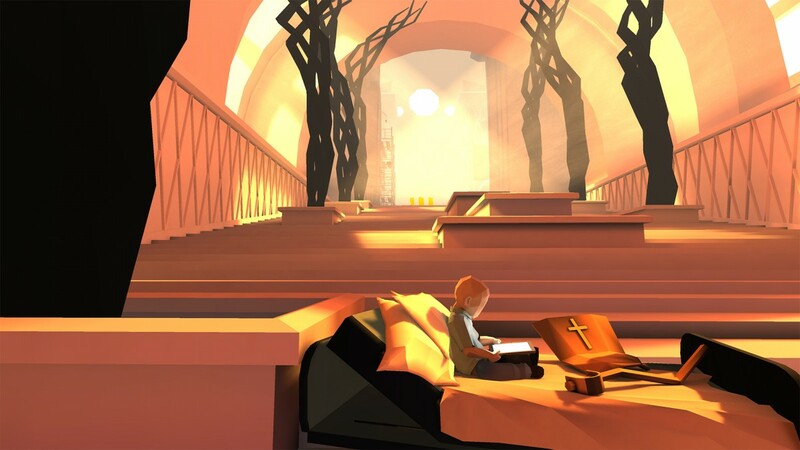 That Dragon, Cancer – the subject of this film – was produced by a small team of artists supported by thousands of Kickstarter backers. Whatever their ages, this army of supporters showed a degree of grown-upness – “maturity” – that we don’t normally associated with video games. Seeing the huge list of funders was one of the most moving parts of the game for me. Look at all those people who understand how much we need to address suffering in our art. Yes, the game was personally moving for me. It made me cry in three places and – you must understand – being a victim of an anglo-saxon upbringing, I. Do. Not. Cry. The movie did not make me cry. It is a good movie, but the goal is not the same as playing the game. Games make you act. When something horrible is coming in a film, we may shrink in our chairs and secretly hope that the actor does not open that door. In That Dragon, Cancer, you must open the door yourself. How much closer this is to the actual feeling of “hospice days,” those days when someone you love is going to die. You must go see the doctor. You know what you are going to hear. It is unhappy news…lots of work, solitude, isolation, worry, doubt leading not to some great victory but just a big old loss. A big old empty hole that will never be filled. Yet you must get in the car and go. You have to open the door. You have to sit there and engage in polite conversation with the doctor and the nurse. You must do these things. Suffering is waiting there on the dance floor in her long, ragged gown, beckoning you to the dance, and you must not only let her take you in her arms, you must swing her bones around on the floor. Your only hope is to complete it all gracefully, and in a way that is helpful for others. What prepares us for these moments? Ryan Green says that our culture hides death and suffering, and I agree. Where in our educational system do we learn how to be human? Where do we learn how to forgive, how to be non-violent, how to love? Kohlberg’s theory of moral sophistication is a dominant approach in the modern era, and it says that the most moral person is the one who is able to come up with the best intellectual reasons for his actions. But Thomas a Kempis, writing 600 years ago, said “I had rather feel contrition than be skilful in the definition thereof.” Where do we learn how to suffer? The Greens have an approach to suffering that is strongly marked by their Christian faith, an element that is clearer in the game than in the movie. It is a fact that suffering makes us grow; to the Christian, this fact redeems suffering. Makes it sensible. Christians view suffering as an inseparable part of the journey to God. The Greens, given the chance, would probably not have aborted Joel. To them, a person’s a person, no matter how small, no matter how troublesome, and every person – even those who bring us such deep sorrow – also brings something sublime into this world: Food for the soul. This is how Christians see it; your approach will be different but I predict just as thoughtful, just as deep. The Green’s story makes us take an approach, some approach, any approach, to suffering, and that is the source of its value. It would be very easy to build a world in which the suffering you are about to see could not happen. Yet it would not be a human world. To be human is to grow up, and growing up – toward Somewhere, Something, or Someone – involves pain. How lucky we are that these sublime depths of human life are now being treated with care by our brightest and most creative artists, the gamers. I invite you now to sit back and follow the story of Ryan, Amy, and Joel Green, to whom I dedicate these remarks.